At Karnanagar near Canning in South 24 Parganas, West Bengal, on 8th April 2012 Karnanagar is a remote place in the district of South 24 Parganas where Sri Sevakprakash, a devotee of Swami Pranabanandaji founder of Bharat Sevashram Sangha, established an Ashram and an Institution where children of the poorer section of the society are given support for pursuing studies. Presently there are about three hundred students. With the acquaintance of one of the devotees of Sri Sri Babathakur, Sri Sevakprakash came to learn about Sri Sri Babathakur and the inspiration he received from that prompted him to invite Saccidananda Society to setup a link with his Institution. 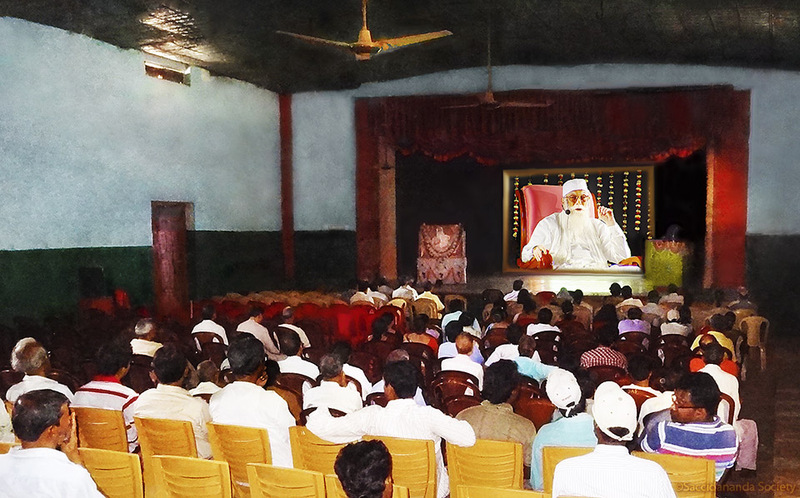 After careful consideration the members of the Society decided that the institution can be patronized and this locality could be made a source place for spreading the message of Sri Sri Babathakur. 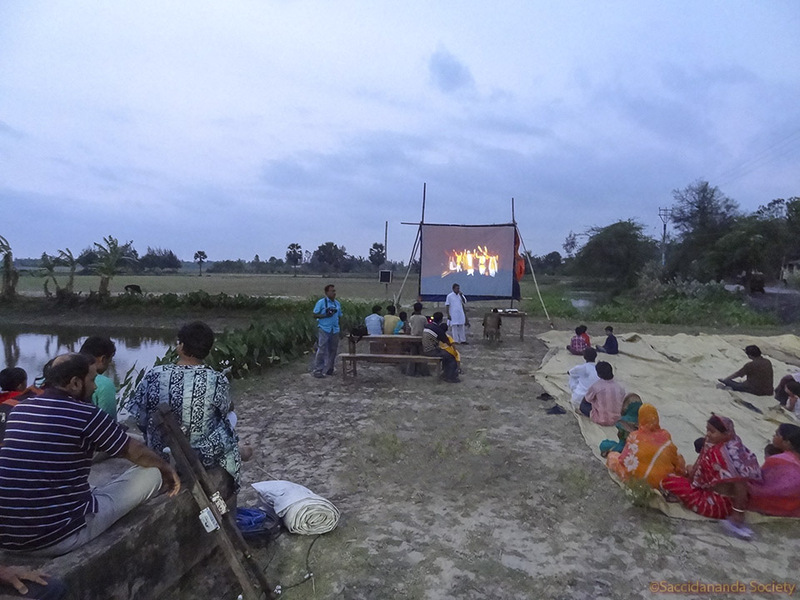 Accordingly April 8, 2012 was chosen on which day the Society organized a video show in the afternoon and Bhajan performance in the morning there. Besides, three hundred children of the institution were also given school uniform as part of philanthropic activity of the Society. 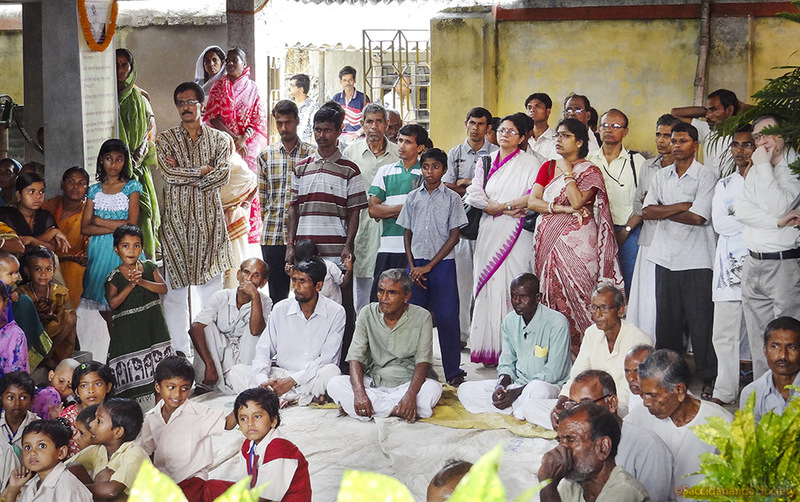 Local village people were invited to the function and the participation was encouraging. At Jhargram on 25th March 2012 To take the divine message of Prajnanpurush Sri Sri Babathakur, what He termed as Science of Self-realization or Science of Oneness, to innermost corners of the state a programme was organized at Jhargram in the West Midnapur district of West Bengal with a large adibashi-dominated hinterland. This area is declared as being infested with the Maoist activists and hence police permission was essential for holding any programme there. 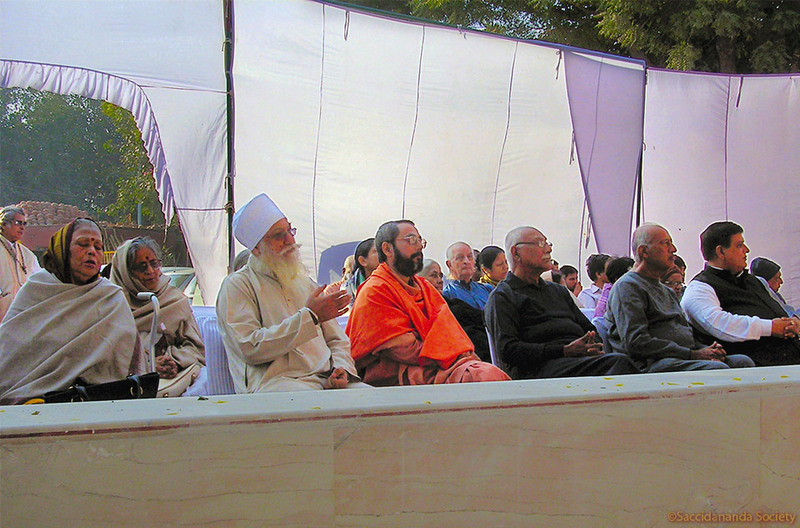 No socio-cultural programme organized by any private organization was held there for last few years. The date was March 25, 2012 and the venue selected was D.M. Hall. It is interesting to note that the Divine Master visited Jhargram in 1984 and stayed at the house of the Late Mridul Kanti Datta and hence along with the video show organized, a Bhajan peformance was also held in the house of Mr Datta where his wife now lives with the rest of his family. 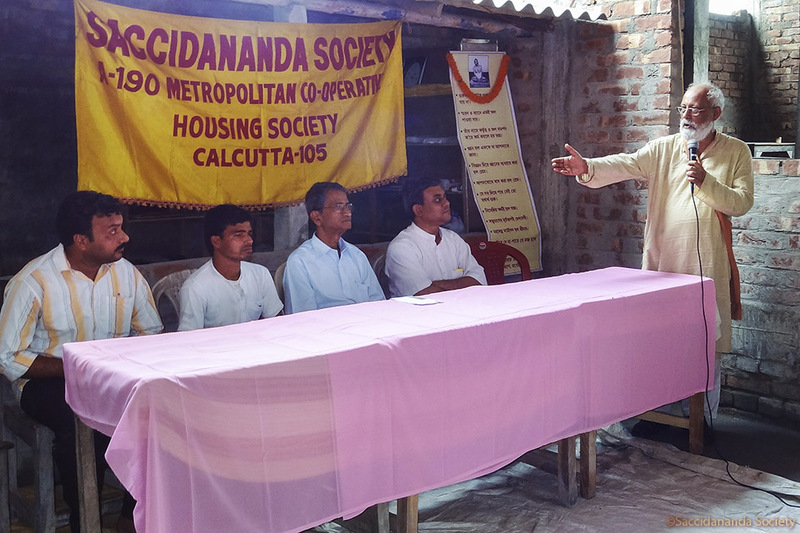 Initiation was necessary for the members of the prospective audience (local) to enlighten them about the teachings of the Master, which was done through a little publicity within the prescibed format dictated by the security personnel headed by Ms Bharati Ghosh, presently S.P of the area. The video show was designed so that the content was easily acceptable by the people there. There were local dignitaries who attended the show and discussed the philosophy of the Master with the members of the Society and suggested to hold shows in specified establishments for enlightening people therein. 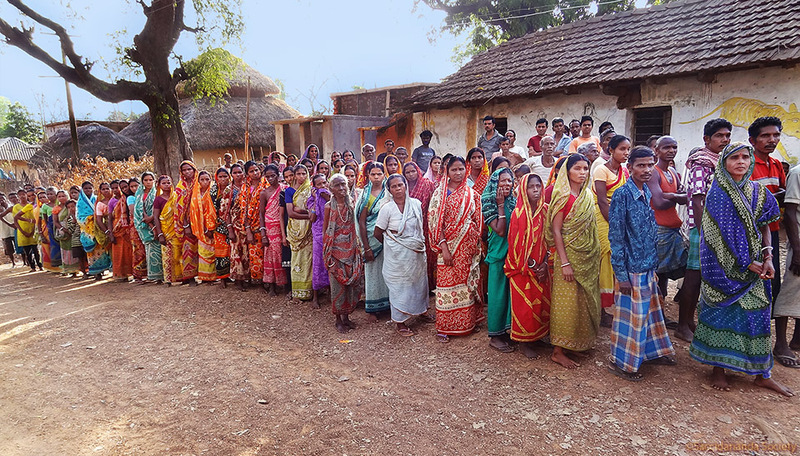 As part of philanthropic activities, hinterland of Jhargram bordering Jharkhand and Odissa was selected where clothes (Dhotis and Sharis) were distributed to the Adibashi habitats of some villages there. The selected villages were Ghritakham, Nedabahara, and a conglomerate of three villages Basantapur, Peyalgeria and Posro. 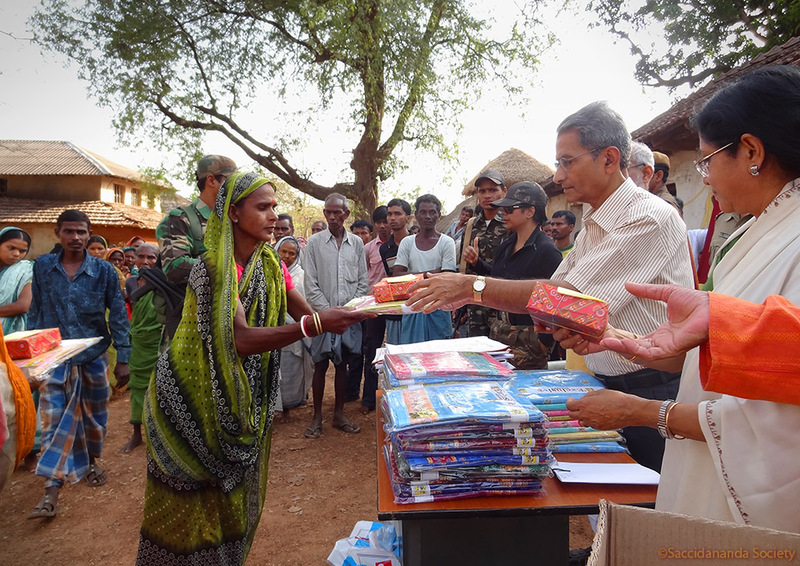 Everywhere the distribution was made with requisite law and order maintained as stipulated by the Security Personnel and for this thanks are due to Ms Ghosh for a total guidance in the entire show. 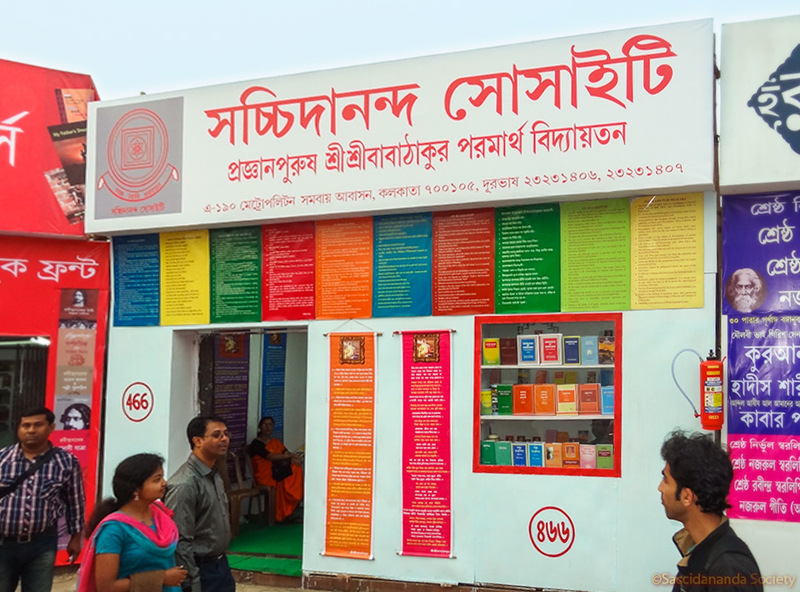 Kolkata Book Fair from 25th January to 5th February 2012 Saccidananda Society participates regularly in the Kolkata Book Fair, an annual international event where a stall, displaying Society's publications including soft copies of the Master's speeches, is hired on a gross rental basis. 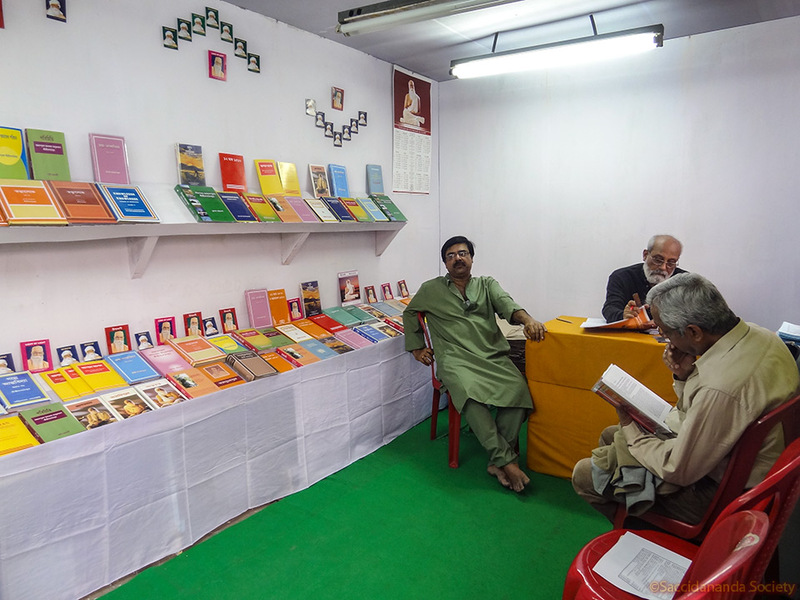 Visitors flocking to the Fair also visit Society's stall and collect books, CDs, photographs and collections of His ambrosial apophthegm. Often there are interactions between the visitors and the devotees of the Master taking care of the stall. The Fair is held for ten days starting from the last Wednesday of January every year. 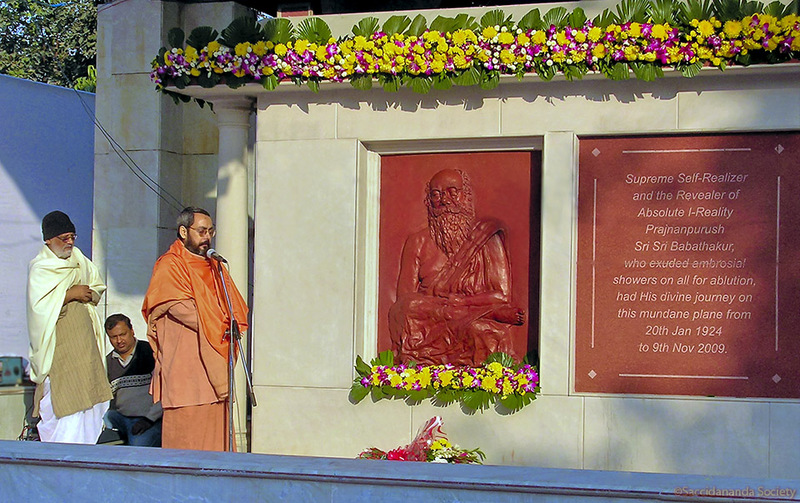 Punya Tithi at Mokshdham, New Delhi on 18th November 2011 The eighth day of the dark half of the lunar month of `Kartika´ is observed as the day on which the Prajnanpurush Sri Sri Babathakur left His mortal coil. The end of His stay on this mundane plane came at Delhi and His mortal remains were cremated at Mokshdham, Kalkaji where a mausoleum has been erected. 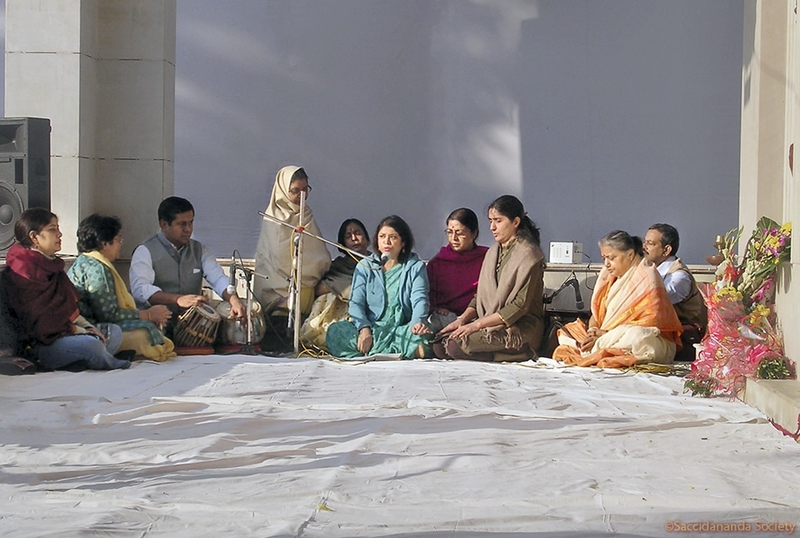 Every year on this lunar day a short memorial service is performed at this site followed by a reminiscent Satsang at a selected place in downtown. 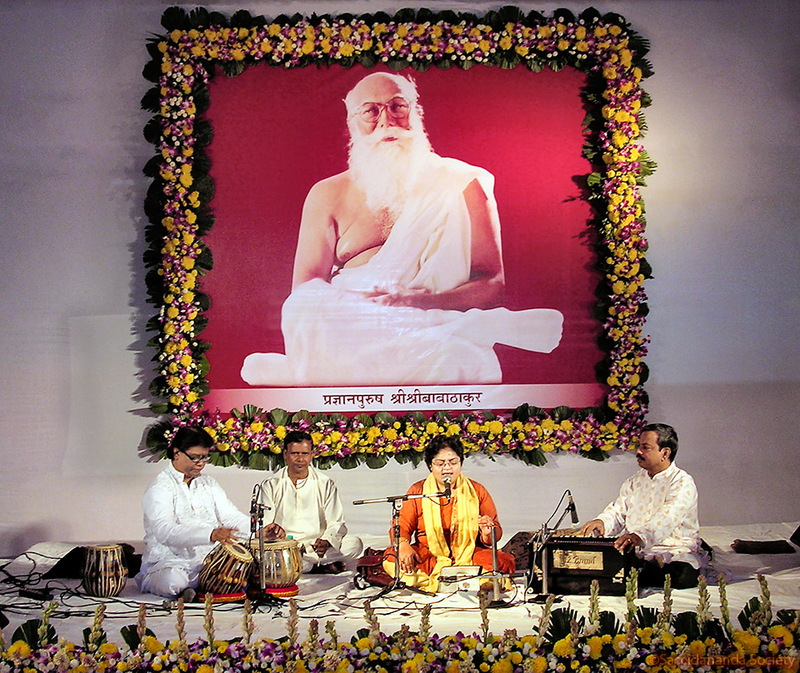 Memorial service is also performed in Kolkata in a selected place and at other places by the devotees of the Divine Master. The day of His departure for His eternal journey by English Calendar was November 9, 2009.